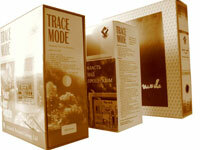 Like any other software product, each version of TRACE MODE has its own life cycle, and upon expiry of the same, it becomes "old". We call "old", those programs, for which a newer version is available. It generally occurs once in 3-5 years. After issuing a new version, the development facilities of an old one are on sale on general conditions during 12-18 months, and after, for some time they are available upon request. Technical support for users of old versions is performed under the conditions defined by the end user licenses related to each program, but generally during 1 year after the date of purchase. AdAstrA recommends the users of old versions to upgrade their development systems to the latest versions of software with discount. AdAstrA guarantees availability of runtimes for the old versions for 10 years. Aktualna wersja TRACE MODE 6.10.2. Uaktualnij teraz, za darmo! AdAstrA wypuszcza nową, rewolucyjną wersję SCADA TRACE MODE 6.06!